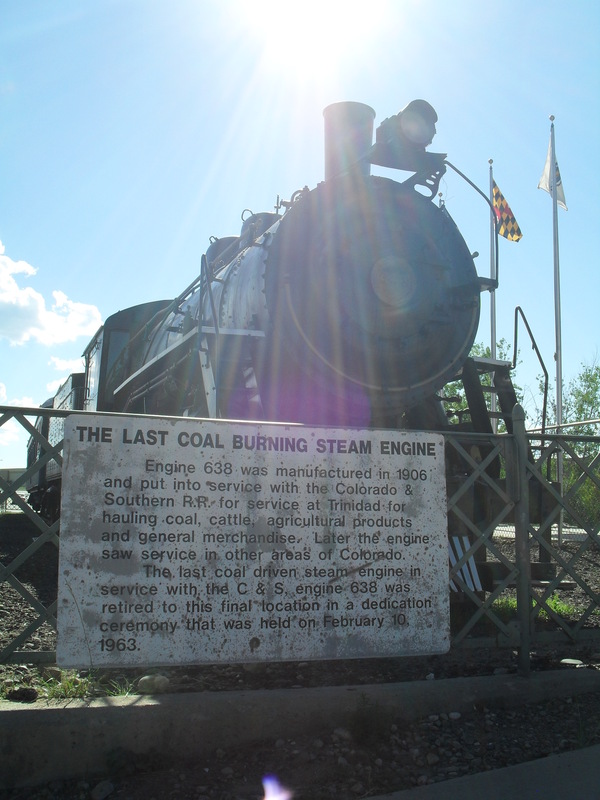 I took this photo of Engine 638, on display in Trinidad, Colorado. 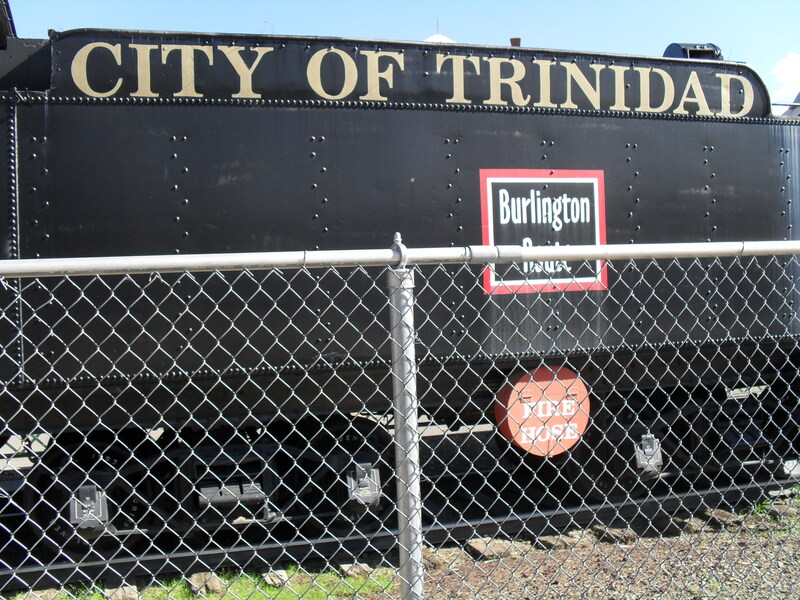 In Trinidad, Colorado, one of the things to see is the train on display at the edge of the Safeway (supermarket) parking lot. 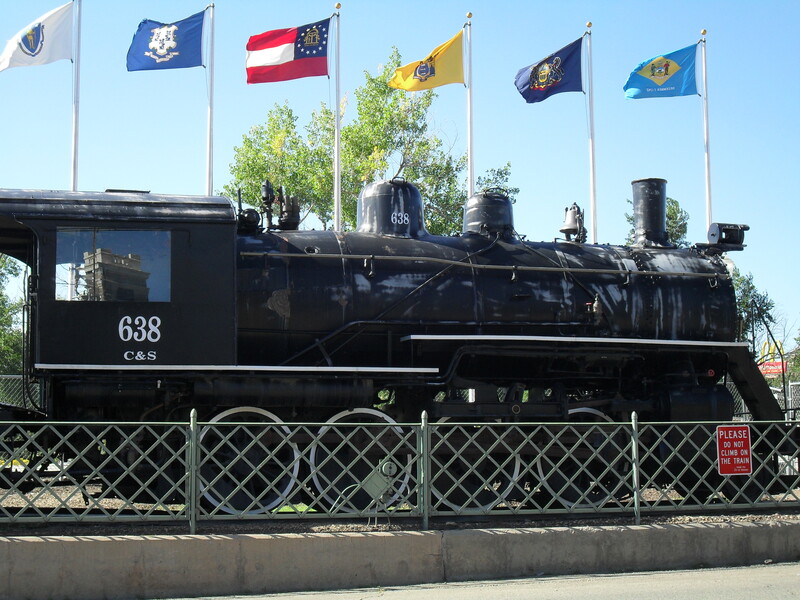 The train consists of Engine 638, a coal car, a passenger car, and a caboose. I took this photo of the train’s coal car. You can see in this photo that the train is behind a chain-link fence. No climbing on the train! 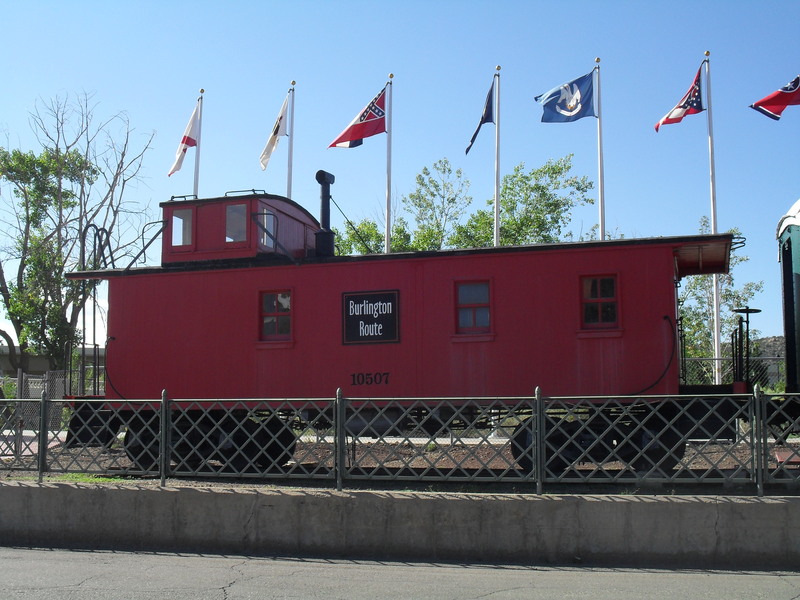 I took this photo of the train’s caboose. What’s a caboose, Daddy? Right there with the train are flags representing all 50 United States, in the order in which the states were admitted to the union. It’s fun to look at the flags and decide which are cool and which are stupid. I took this photo of another view of Engine 638.